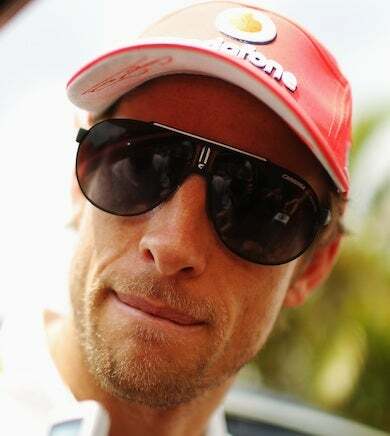 Formula 1 world champion Jenson Button was confronted by a gang of six machine-gun-wielding robbers today after qualifying for tomorrow's Brazilian Grand Prix. The F1 champ said six men trained their weapons on his car after he left the Interlagos track in Sao Paulo, where he had earlier qualified for today's Brazilian Grand Prix. Button, 30, was on his way back to his luxury hotel when his bulletproof Mercedes was intercepted in a shanty town at 7pm local time.